New Products – IAI Servo Press – Automation Technology, Inc. 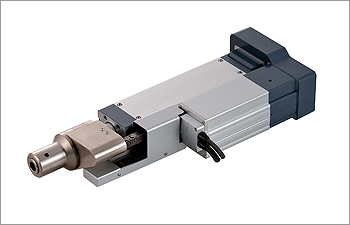 Compact and low-thrust rod type actuators that can be used for simple pressing operations. The high-precision position control enables easy adjustment of the push force and the position control, which is typically difficult for oil-hydraulic equipment. The servo press controller also offers an analog output of load data for optimal equipment analysis (2D graphs of the displacement vs. Load cell output).